We discovered Kidzville at The Podium early this year when our son got invited to his classmate’s birthday party. We never went again because we seldom go to The Podium. We usually frequent Robinsons Galleria because that’s very near our house, and he usually plays at Tom’s World. We were at Kidzville again last August 10 upon invitation of another former classmate and friend Nitto. 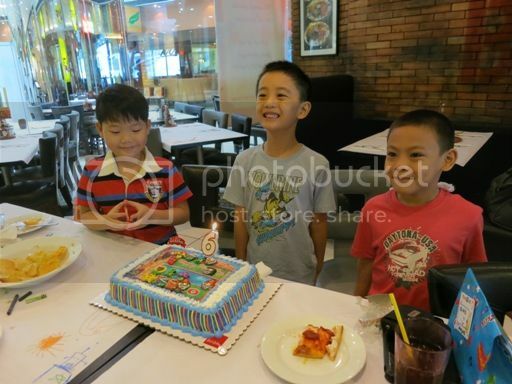 Nitto celebrated his 6th birthday with a few friends at Burgoo at The Podium and they later played at Kidzville. 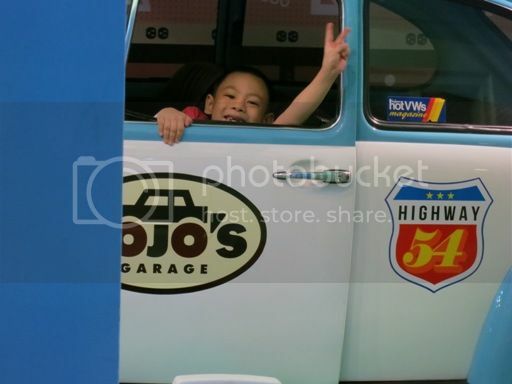 Our 6-year-old enjoyed riding in this shiny blue-and-white Volkswagen Beetle. He also had a grand time pretending to be a doctor and attending to his sick patients using this cute yellow stethoscope. 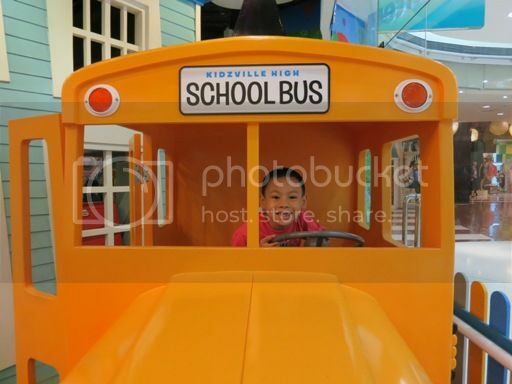 And that’s my son at Kidzville High School Bus, all smiles because he has made one of his dreams come true—to be a bus driver. Lol! He also liked tinkering with this cash register because the work of a cashier fascinates him. 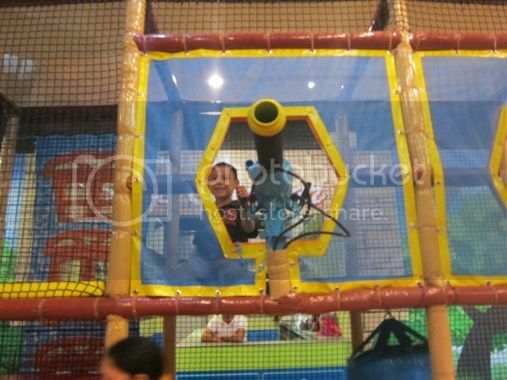 This time around, I wasn’t able to take pictures of him and his friend playing on the big slides and all the other stuff that could be found at the play area. The boys were big enough to play inside by themselves, so the mommies and the yayas were just outside watching and chatting. The photos below were taken last March 2012 when he attended another classmate’s birthday party. Our son had a blast playing at Kidzville. I was actually hesitant to bring him there last August because he was a bit under the weather, but seeing the smile on his face each time I took a picture of him told me that I made the right decision. 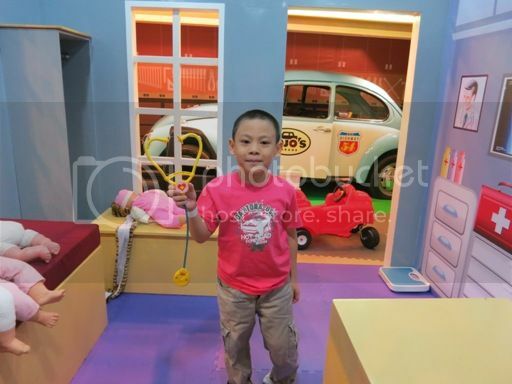 This entry was posted in Birthday Party, Kidzville, The Podium. Bookmark the permalink. 9 Responses to At Kidzville! 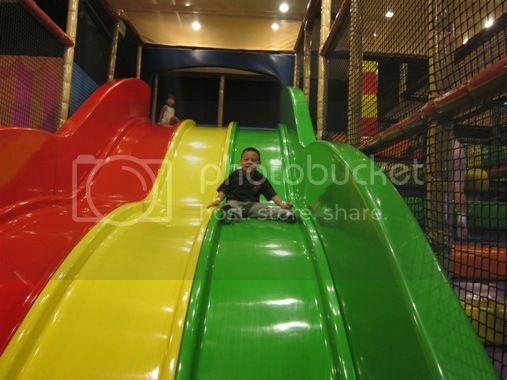 I first heard about Kidzville from one of Christine Babao’s tweets but, like you, I seldom go to Podium. I’ll bring my niece one of these days as my boy is already too big to play there. Wow! The place looks big! Kidsville looks fun!! It’s a good family hang-out during the weekends. My kids love Kidzville! It’s one of the best play centers I’ve visited. I featured this on my blog too last summer. ← VitaPops, the First and Only Pop Rocks Vitamin C, Is Here!